As I sit inside my room, and the clear blue sky opens up over my little country for once, I can’t help but feel bad for playing Company of Heroes Online (COHO). Shouldn’t I be outside doing something else and enjoying the sun whilst it’s out? After all I have recently acquired Dragon Quest IX and that game isn’t going to play itself. So maybe I could play it whilst outside and sunbathing? All of these ideas quickly fade away as I begin to play COHO. The most appealing thing about Company of Heroes has always been playing the game online with friends. There’s just something incredibly satisfying as you and your team manage to pull off an excellent gank against the other team, whether they are controlled by real players or by the AI. In fact several people in my gaming clan are deeply in love with Company of Heroes. They would play the original day and night, for hours on end, and I would join them. We’d play constantly against the AI bots in the Skirmish mode. Anyone who has played against the AI in this particular mode will know how brutal they can be. The developers of Company of Heroes Online have made a few tweaks to the computer players, making them harder than ever to defeat. Even if you and a few friends just plan to play together against the AI, you’ll have more than a blast as they trick and deceive you. For the more competitive players, the match making system will suit you perfectly, even if it can occasionally pair you up against higher level players, but then again what match making system doesn’t do this? At the end of the day whether you’re paired up with higher level players or not, it doesn’t really matter in Company of Heroes Online as unlike a other games on the market COHO really is all about player skill. 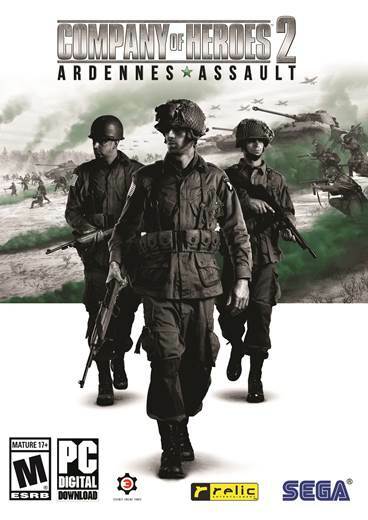 This is where Relic’s game really shines and it is why the original Company of Heroes is considered one of the best (if not, the best) Real Time Strategy games of all time. In Company of Heroes Online there are so many ways to defeat the enemy and so many strategies you can use, no matter what mode you play. You can rush the enemy, or hold back and prepare an army. If your enemy does build a huge army you can still defend against them, instead of getting easily trounced. This is a game whereby you can use whatever play style you like. If team play is your kind of thing, and you’re looking for game to play with friends, then COHO is certainly right up your alley. I can’t possibly describe the amount of fun my clan mates and I have had playing this title competitively and communicating via TeamSpeak. To put it simply, no matter what type of RTS player you are, the core game play will definitely suit you. If you’re new to the RTS genre and are worried that the game will be to overwhelming, then you need not fear as there are a variety of tutorials (which give you nice rewards for completing them) to take you through the basic game elements, whilst also introducing you to new Free-to-Play components. If you’re an old veteran of the series and are wearily biting your nails at the thought of the game being Free to Play, then you need not fear, as the excellent core game play has not changed. There are only two big changes to the format, the first being that instead of gaining experience points and new abilities during matches, you choose what abilities you can use before the match starts. Much like in Riot’s League of Legends you have a persistent character, known in COHO as a Commander, who gains experience from every match you play. Each time your Commander levels up, you can gain an ability point, with which you can use to buy a new ability or upgrade an existing one. This particular system makes the game incredibly addictive, as you’ll want to continuously play the game to level up and upgrade your abilities. The second big change is the addition of the Army Deport, and Heroes character, which is another persistent feature in Company of Heroes Online. You can place army items in the Army Deport, such as upgraded tanks, which you can then use in matches. These items are generally very balanced, and add more strategy to the game as you decided on what army items to take into battle. Heroes are just like Army Items, however instead of being upgrades they are different units entirely. For example you might take an infantry type Hero unit into battle, which will be much better and faster than the standard infantry you create in matches. Both Army Units and Heroes have “Charges” on them though and you’ll need to use supplies, which are earned through doing matches against either the AI or real life players, to re-charge them. Overall these persistent features add to the original Company of Heroes core game play and make it a much better multiplayer experience. If you’re a fan of the original then you’ll absolutely love these new additions to the game and it’ll certainly be something you’ll want to check out. If you’ve never played the original game, then this is a chance to catch up on a fantastic experience. With regards to the single player mode, there’s nothing much I can really say about it as Company of Heroes Online is worth the download just to be able to play the excellent Campaign. To put it simply, this is a game that should definitely by on your radar.